Former DC staffer Heidi MacDonald has a good first-reaction piece here you can read backwards into the story itself. She also includes the text of a key announcement memo. I think it's appropriate to focus on the moves at the broader VP/SVP level. It may be worth noting that these moves come in the context of a lot of broader publishing-industry layoffs, most notably in the general Internet magazine/news site/eyeball-catching category. Tying them all together seems to a general desire to cut salaries and staff to make these companies leaner and more profitable, without addressing the very top-heavy places a lot of wealth settles in gigantic companies. I imagine more comics pros will have had dealings with mega-influential art director Mark Chiarello and perhaps even longtime vet Hank Kanalz. The latter was not fired at all, and in fact ends up on top of one of the reshuffled divisions at DC. Expect a number of personal and professional appraisals of Chiarello and his accomplishments through the week. 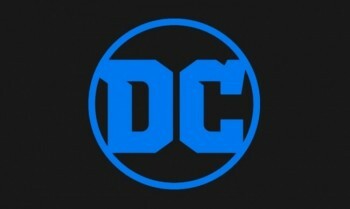 His has been the modern look of that storied company and as a result the look of much of comics. Myself, I will miss my occasional encounters with the apparently now-departed John Cunningham, whom I felt ran a tight ship that flattered the state of editorial at that company no matter how healthy or not-healthy creative might be. Cunningham always gave what seemed to me a no-nonsense appraisal of whatever part of DC's publishing business I asked him to assess, with a mastery of facts on hand that allowed him to argue forcefully in whatever direction he felt right. I'm grateful for his insight and wish him the best of luck with whatever no-doubt successful enterprise he begins next. Many of the people to whom I spoke at the time thought DC's move to Burbank in 2015 signaled the end of the comics publisher being removed from these kind of more general company concerns. Given that thought, given the pro-publishing rhetoric of the memo, given the single-digit measurement of the firings, and given the unique nature of DC's business with so many niche-level sales items, I suppose one can make a positive or at least non-dire case for the implications here. I'm always a bit stressed out by people where I know what they do being replaced by people where I don't, bearing job titles I don't really understand. Additionally there's some really nuanced initiatives on the horizon for DC line-wise, with age-targeted standalones and sustaining the Wal-Mart comics, at a time when they could make some significant creative gains. All of this should bear watching. My sympathies to anyone who will experience an element of life disruption based on these moves.